Guys. This Valentine Heart Nose Ring Stud by Holyland's Treasures is so cute. 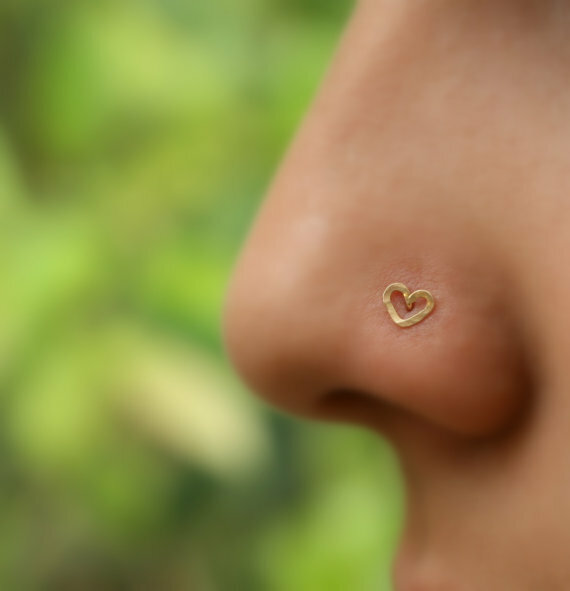 It's so cute I kind of want to get my nose pierced just so I can wear it. At $9.95 ($3.95 shipping anywhere in the world) this gold filled heart nose stud is a bit of a steal. If a heart isn't your thing, or if you're like me and you don't have a nose ring, Holyland's Treasures has a wide selection of jewelry, including necklaces, ear cuffs, and earrings.